Right now, more than a million Australians, are returning to university to continue their studies. For those in their final year their minds will be turning to some pressing questions: Am I going to get a job? How will I pay back my student debt? Yesterday’s ASG Planning for University Index suggests these questions are only going to become harder to answer, with rising costs over the next 10 years. I did alright at school, but as a young man an indoor life was not for me. I became an apprentice carpenter and got to work on building sites in and around Melbourne in the mid-1980s. The majority of new university graduates will find work, but the numbers suggest that they might have been better off pursuing a different path, as I did. Research by Graduate Careers Australia shows that in the first year after graduating from university, 74 per cent of new graduates who want one will find a full time job. Their average income is $54,000. However, the National Centre for Vocational Education tells us that this figure is 77.6 per cent for vocational graduates and that their median income is $56,000. In parts of the construction industry I have heard of new electricians earning $80,000. Emerging from their training with better chances of immediate employment, higher starting incomes and greater prospects for self-employment, VET graduates face a bright future. We often talk about training Australia’s young people for the jobs of tomorrow, but there are skilled jobs crying out to be filled today. The Department of Employment creates a skills shortage list every year of jobs where local businesses are finding it hard to recruit skilled people. In my state of Queensland you will not find public relations managers, civil engineers or lawyers on that list. These are all admirable professions, filled with talented people, but we have plenty of them. What you will find on the wanted list are welders, chefs, carpenters and plasterers. These are the skilled workers that Australia desperately needs today. Many trades are listed as statewide shortages, meaning that employers are unable to fill or have considerable difficulty filling vacancies. It is a startling fact; in Queensland today, employers are finding it nigh impossible to find a skilled bricklayer, painter or butcher. We need to tackle three challenges to deal with this serious shortage and provide a better future for hundreds of thousands of our young people. First is the perception among some parents, employers and among young people themselves that vocational education is a second class option. The only way to change this perception is by showing off the great role models we have. 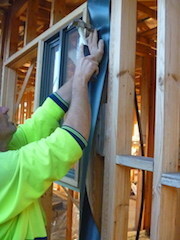 Tradies do not tend to make a fuss and they are not known for talking about themselves. We have to do it for them. The federal government’s Australian Apprenticeships Ambassadors program is a start, identifying people who have achieved better pay and a more rewarding working life through an apprenticeship. We need to get these ambassadors far more coverage. This is the right answer, but it needs to go much further. We need to get these ambassadors into every school, parents group and youth centre to tell people first-hand about their success. Second is the lack of information available to young people in their last years at school about the vocational paths that are available and how to access them. Our focus on getting a degree for all has left our careers advisers obsessed with university and too often clueless about apprenticeships. Too many kids are falling through the cracks. They know that university is not for them but they do not know what the alternative is. The government is spending $3 million on developing a new National Career Education Strategy to identify how we can provide more meaningful and balanced careers advice. That review must look at the example set for us by other countries where regular conversations about career options have been built into some children’s school life from age 11. These programs have been shown to create improved career outcomes from the kids who took part. Third is the fact that too many businesses do not know how to offer an apprenticeship, and do not always do a great job when they do offer one. Again, the Turnbull Government is providing some help, in the form of the Australian Apprenticeships Support Network. Without that $190m a year there would no doubt be many more apprenticeships which are not completed. We should ensure that the help we offer is targeted, on a one to one basis to help companies and apprentices to work through any problems. We need to do much more though to educate companies on how to create and complete apprenticeship schemes, but not through superficial advertising and brochures. The only way to make a difference here is to get out into the workplace and engage with employers at a grassroots level. Over the past 30 years I have seen a decline in the willingness of some employers to engage apprentices. We need to address that decline. We as a community, both in government and industry, need to incentivise employers. I am not just talking about money. We need to create a positive culture that says that it is an admirable thing to employ and train our young people, and we need to give employers tailored information that makes it clear how accessible and valuable an apprentice’s help can be. Personally, I started out a chippy but I ended up a barrister. Now I am a Member of Parliament. After years as a self-employed builder I went to university. My trade gave me a way to support my family while I studied and the knowledge I had of the industry gave me a head start in construction law. My apprenticeship became for me a pathway to university, not an alternative to it. A vocational education can take you anywhere. Australia needs our young people to know that.